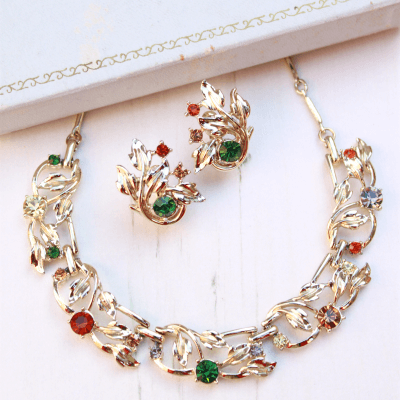 Description: This stunning original boxed Jewelcraft necklace and earrings set features a swirling floral ornate design which blends perfectly with the bright rhinestones in green, orange, lime and amber shades. 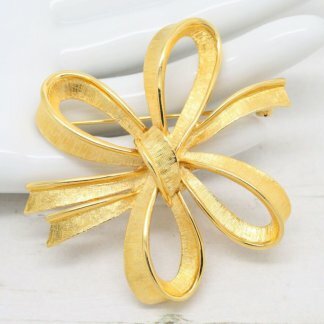 Fully gold plated in a soft tone, this set is pure perfection. 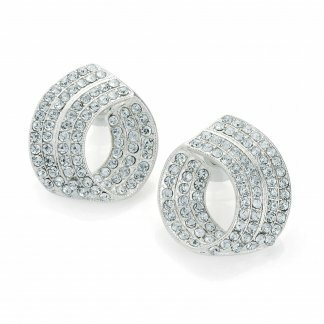 Both the necklace and clip on earrings are in wonderful condition showing slight to no wear. It appears that the set was brought from new and left untouched. 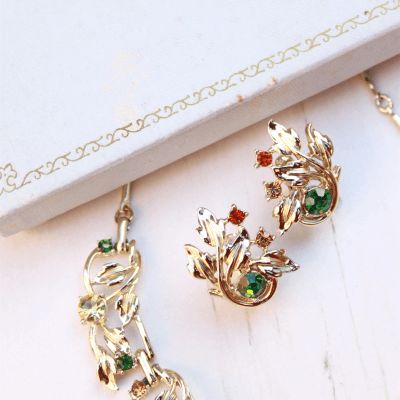 Although the necklace and earrings are both unsigned they are the true companions to the box. 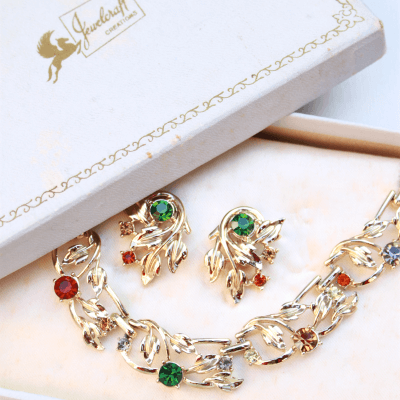 A true 1950s Jewelcraft set – Complete with box. Please note: the box does show some wear and marks however it is complete with original cream padded inner. Necklace: 42cm long when laid flat, end to end. 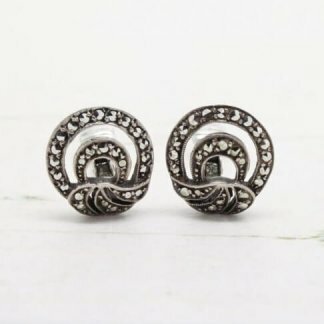 Earrings: 2.5cm at tallest point. This set is beyond beautiful – A real head turner, perfect for bridal jewellery, vintage lovers, and of course the discerning collector.